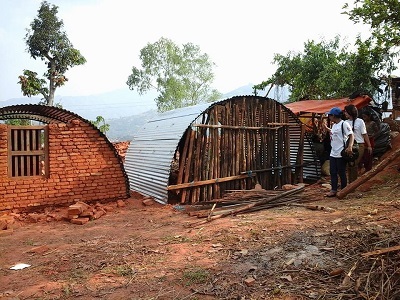 Help Nepal Relief has been jointly working with local communities and engineers to build temporary shelter till the permanent houses to be built. they should be helped to build a temporary house at or a nearby location where they had their lived previously. Such houses could be made of cement mortar, be a one- storyed brick or stone masonry structure (based on availability) with tin roof with wood (local) false ceiling. The houses can make use of established earthquake-resistant masonry building.